The Ministry for Primary Industries today reduced the area affected by the public health warning against collecting shellfish on the Northland East Coast to the area between Kokota (The Sandspit) and Farmer Point. SEE THE MAP BELOW. 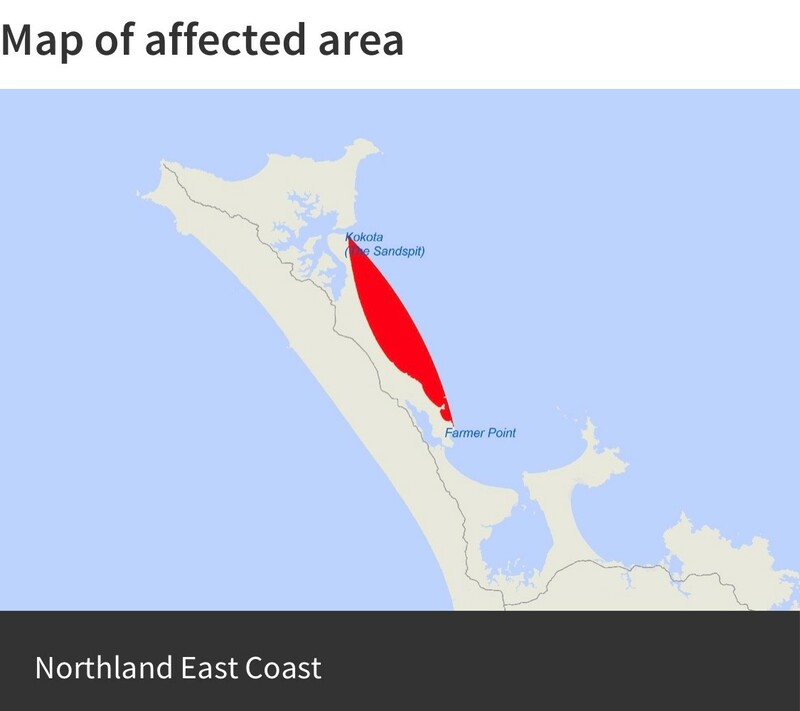 KIA TUPATO WHANAU: While the warning is in place, it's a calculated risk to take and eat shellfish from the area - engari, kei a koutou.